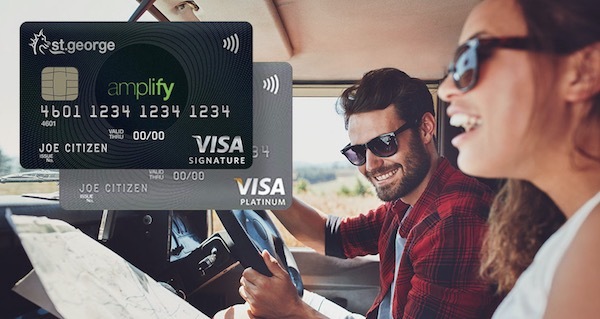 Bank of Melbourne are offering up to 100,000 bonus Amplify Points for new cardholders of the Amplify Platinum Visa – Amplify Rewards until 22 May 2019. The bonus points for this offer is split into two, with the first 50,000 Amplify Points to be credited after spending a minimum of $6,000 for the first year, and the second 50,000 Amplify Points after spending an additional $6,000 for the second year – for a total of $12,000 on eligible spend over a 24 month period or just $500 per month for 2 years. For those who would prefer Qantas Points, there is also a 50,000 bonus Qantas Points on offer for new cardholders of the Bank of Melbourne Amplify Platinum – Qantas Rewards. The Bank of Melbourne Amplify Platinum Visa – Amplify Rewards offers an effective points earn rate of 0.5 frequent flyer points per dollar on most of the linked frequent flyer programs to Amplify Rewards, which for an ongoing $99 annual fee card, is respectable. The strength of Amplify Rewards is its ability to be transferred to multiple rewards partners, offering flexibility in how you redeem your points. The Amplify family includes cards offered by St.George, Bank of Melbourne and BankSA. This guide covers the different earn rates, caps and benefits of the Bank of Melbourne Platinum Visa – Amplify Rewards variant. We also cover the Bank of Melbourne Amplify Signature Visa – Amplify Rewards in a separate guide. The Bank of Melbourne Amplify Platinum Visa offers 1 Amplify Rewards points (which also equals to 0.5 Velocity Points, KrisFlyer or Enrich Miles when transferred) on spend with no points cap. Finally, its worth noting the card terms in relation to loyalty points are here. The Bank of Melbourne Amplify Platinum Visa also has a Qantas Rewards variant that earns 0.5 Qantas Points per $1 on spend. Otherwise, earn rate is 1 Amplify Rewards Points per dollar on eligible purchases on the Amplify Rewards variant. We cover the details of the Amplify Rewards and its frequent flyer transfer partners in a separate guide. The Bank of Melbourne Amplify Platinum – Amplify Rewards card, along with the other cards in the Amplify Rewards family could be useful for those who are looking for non-Amex cards that earn points on spend and offers flexibility in how you use them, without a particularly expensive annual fee. Bonus offers can be hit and miss on the Amplify range, but when they are on offer, these cards are worth considering. Those looking for more features like lounge access and other travel perks however might find the Amplify Signature cards more appealing. Daniel lives and breathes frequent flyer points, and finds nothing more exciting than researching the best ways to extract maximum value from these points. He travels mostly for leisure and being Gold Coast based, you'll find him hitting the surf and the gym, having a hit of tennis and overall enjoying the great outdoors. Point Hacks is published by Point Hacks Australia Pty Ltd (ACN 622 987 160), a corporate authorised credit representative (Number: 504786) of MSC Advisory Pty Ltd ACN 607 459 441 (Australian Credit License: 480649). In some instances, Point Hacks Australia Pty Ltd receives a commission or benefit for referring you to the services of a credit provider. This commission or benefit is disclosed at the point of referral to the credit provider. This website does not provide credit, assist you in obtaining credit, or advise you to apply for any particular product from a provider. We have not taken into consideration your personal circumstances or financial situation when providing the information on this website. It is important you read the relevant PDS from the product issuer and seek the independent advice of an appropriately qualified professional before making a decision on a product. While we invest a great deal of time and energy into ensuring we provide with you with the most up to date and accurate information, we do not warrant the accuracy of statements or information contained on the Website relating to third party goods and services, including credit card information, loyalty schemes and rewards. You acknowledge that such information and materials may contain inaccuracies or errors and we expressly exclude liability arising from any person acting on those statements or information to the fullest extent permitted by law. Where conditions or warranties are implied by law and cannot be excluded, our liability will be limited to the re-supply of information. You should confirm the accuracy of information provided on this Website with the third party product provider before acting on it.